This year I decided my monthly beaded “journal” would be inspired by the hand motif. 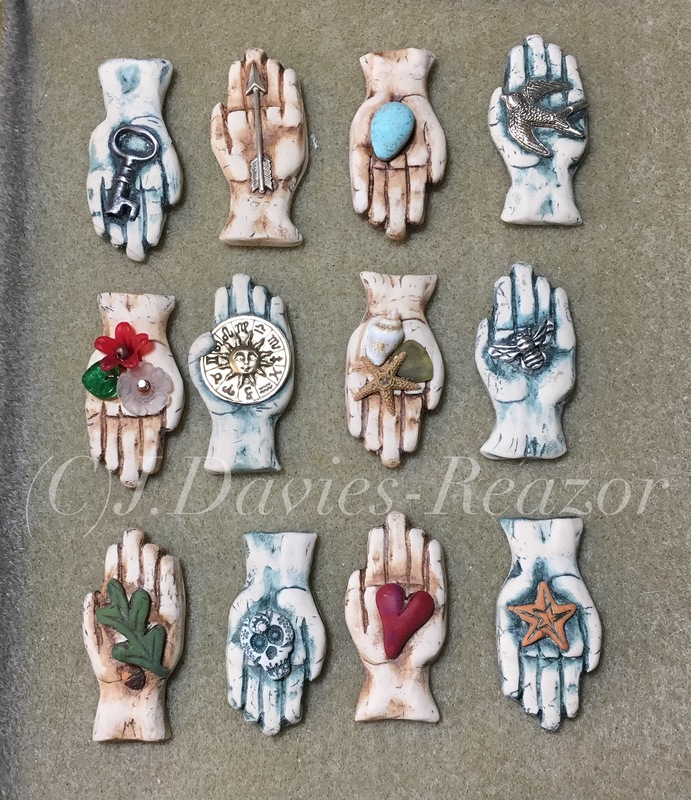 The January hand holds an antique skeleton key. The key represents the Roman God Janus. Depicted with two faces, he looks backwards and forwards in time. He is often shown with keys, and associated with time, gates, thresholds, etc. 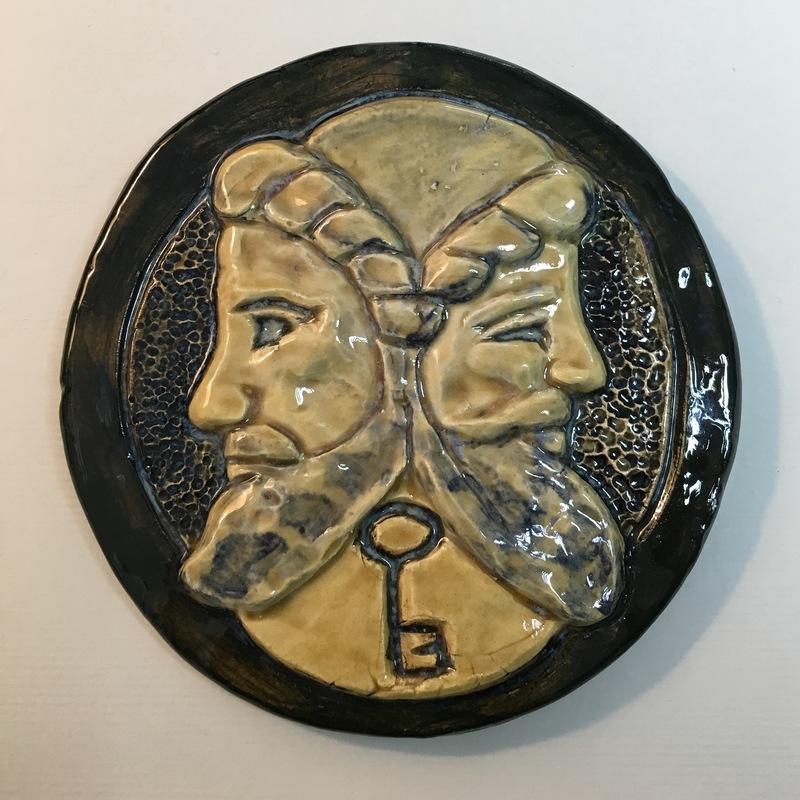 This Janus tile is part of my Mythic Nature line. For the beaded pices this year I am incorporating fibers, especially felt. 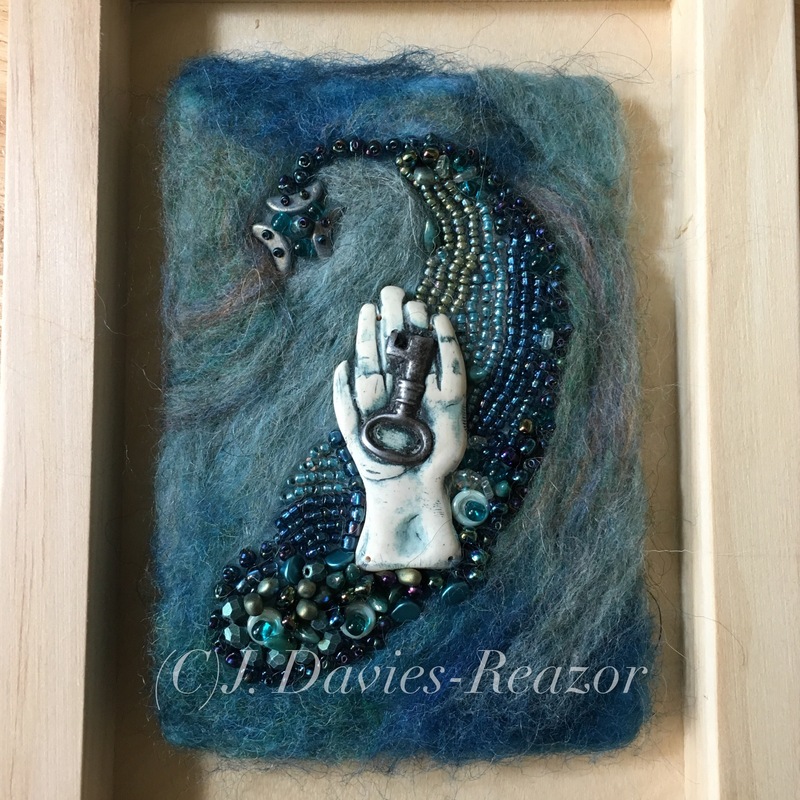 Felting really satisfies the painter in me with the range of colors and blending possibilities. The series this year will be uniform in size ( app 3 x5″) and framed in stained birch frame boxes. And without further ado- January. Thank you all for starting this journey with me. I would love to hear your thoughts…. Beautiful. Texture, color & dimension!